This textual content addresses Indigenous Australian claims to water property and the way in which they inform and relate to current Australian laws and updated approved keen about future potentialities. 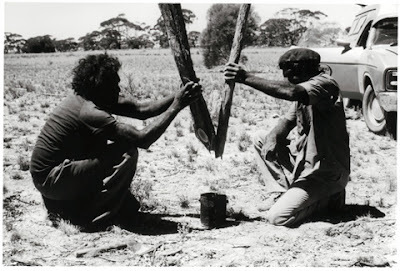 It adopts a multidisciplinary methodology, drawing from historic info, earlier ethnographic investigation with Indigenous Australians, current approved scholarship, and social anthropological precept. In doing so, it analyses Indigenous dependencies on water, the historic previous of settler colonial orientations to water our our bodies, the evolution of settler colonial–Indigenous relations to pure property, and the occasion of the Australian approved system’s regulation of water. This provides foundations for a dialogue of the constraints of settler colonial notions of property and the failure of settler colonial laws to understand and incorporate the dynamism of Indigenous relationships to water, considerably the which implies and productive functionality of water flows inside Indigenous cosmologies and sociocultural and ecological methods. Calling for a decolonial flip in approved approaches to Indigenous entry and water helpful useful resource willpower, the authors uncover the strategies by which Australian laws may should ‘unthink’ settler colonial notions of helpful useful resource possession as a prerequisite for reformulating future water protection and planning. This reformulation will depend on a additional intensive approved philosophical engagement with the concept of ‘transfer’, an concept that already exists in every water laws and planning, nevertheless which has not been adequately theorised and enacted. A additional full approved understanding of transfer inside the context of Indigenous understandings of, and claims to, water provides additional sustainable and equitable approved and analytical foundations for managing future water property factors. The article creates the realm for a additional culturally associated notion of ‘Indigenous water rights’ and for model spanking new strategies of honouring the interrelationship between water flows, meaning-making practices, and cultural continuity.